OMG, 2016 is nearly over and so is our RR. This will be our last round and it will be a nod to the passing of time with some hour glass blocks. Please do one row in whatever size and style befits the top that you have. 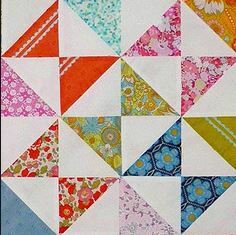 There are so many tutorials for hour glass blocks that you are free to choose your preference. And, if you are feeling extra holiday cheer, kindly make a label for your recipient to attach to her quilt when it’s finished. I think that would be a special touch, but I also understand how busy this time of year is so if you can’t that’s okay too. Looking forward to our big reveal in January!